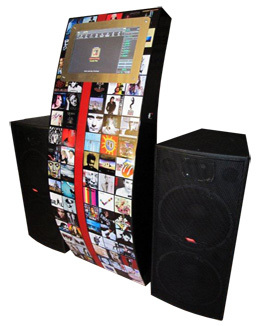 The DIGITAL MP3 TOUCHSCREEN JUKEBOX comes with 50 000 SONGS LOADED that include all the (NOW THATS WHAT I CALL MUSIC CD`S) As well as all the popular bands from THE ROLLING STONES to BEYONCE. 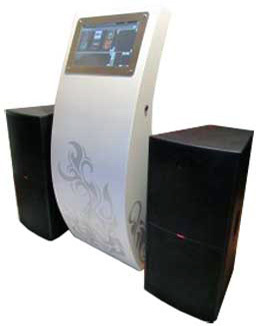 The jukebox is coupled to a powerfull amp that powers 2 double 15 inch speakers. A cordless microphone can be hired to use with the system as well for speeches. 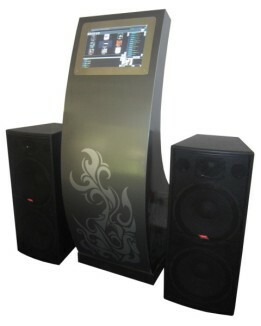 Have a look at how our PAST CLIENTS) are all raving about the jukebox and how it made their party a huge success. 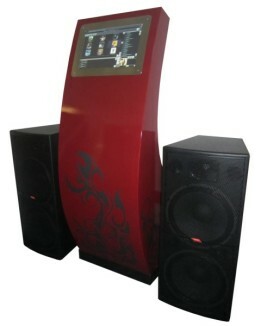 So why hire a Touchscreen Jukebox and not a old school 50`s style jukebox. ? •Touch-Screen interface is easy to use. •Jukebox is available 7 days a week. •No need to pay extra after midnight. •Large data base of 50 000 songs. •All the decades right up to the Top 40 hits. •Volume is controlled from the touchscreen. •The jukebox can be locked to limit how guests interact with it. •The song list can be restricted to 1 song or set to unlimited. •Need a specific song…I can load that for you. •Songs or artists can be searched for with the on screen keyboard. •Customized playlists can be set up to get the party going. •Large sound system can cater for weddings or house parties. •There is no need to insert coins or cash to play a song. •A cordless or corded microphone can be attached for speeches.